It's snowing again! Feels like being in a snow globe doesnt it? 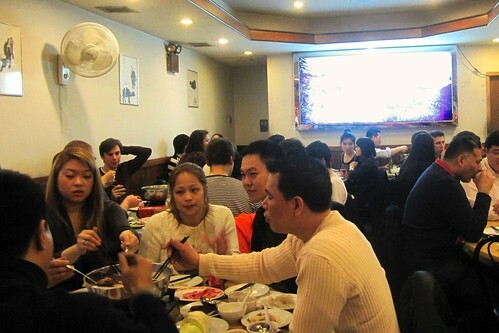 Went to Grand Sichuan for hot pot the other day with Emily to celebrate a belated Chinese New Year. Sichuan is located on the tip of Manhattan Bridge (city side) where all the buses pick you up to go to Philly, Boston, etc. Its not a schmancy place. Authentic to be for sure. My advice is to eat UPSTAIRS and make a reservation for large parties. Downstairs feels like a makeshift bedroom for hidden refugees. And oh, CASH ONLY. 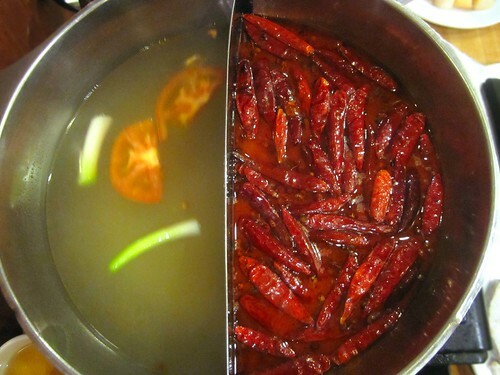 I recommend getting the half pot nonspicy and chili spicy broth. Dont be intimidated by the chilis guys. It enhances the flavor. 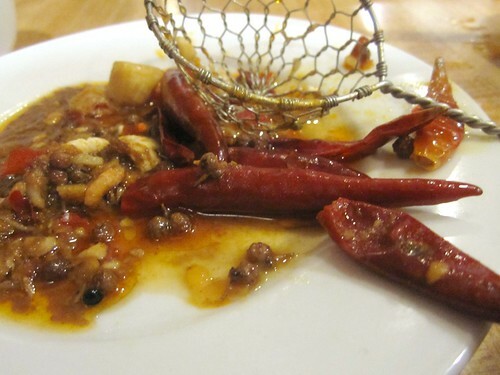 Just dont eat the peppercorn. They numb your mouth. Seriously. See those little balls? Thats what you should watch out for. You choose your random sides: The 2 of us went for (left to right) tofu, pork, chinese vegetables, dumplings (theyre sweet!!!! really good home made dumplings), scallops (we sent them back, not so fresh) and taro (I especially like the texture when it boils down). 3. When you cook your meat, do not put the whole plate in. It's eat/cook as you go. If you leave the meat in too long (you forget it) and it becomes overcooked. 5. 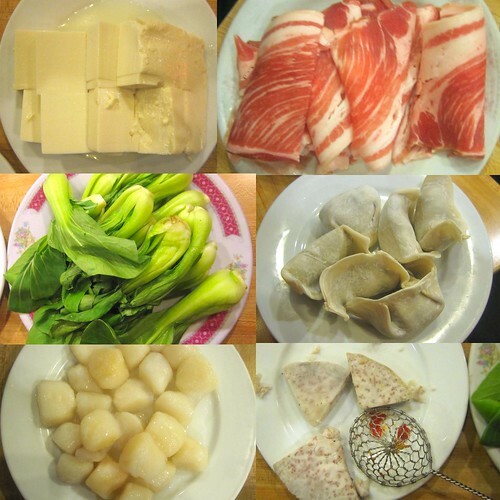 The tofu used is silken tofu, and is very delicate. Place the amount you want in your spoon and just let it dangle in the broth until cooked to desired temperature. If you dump the tofu in, you may end up getting bits and pieces instead of the desired square shape.